Here is a condensed and quick list of some tech gifts that I would love and would be ideal for someone who has everything! 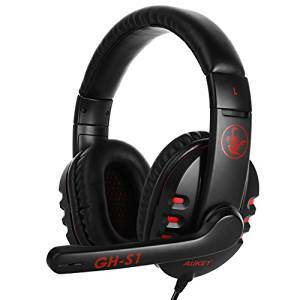 Aukey Gaming Headset for the PC – My mum is a huge PC game fan and has loads of those Mystery Legends type games where you have to solve puzzles as you go. The ideal gift for her would be a set of gaming headphones that can not only be used on the PC but to listen to music etc too! 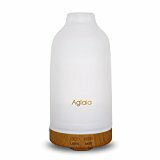 Aglaia Glass Aroma Diffuser – This is an amazing device that is used with water and scented oils to purify the air and help with breathing etc. I would love this one myself this Christmas as we struggle with co sleeping at times having the little one still between us and the room does get a little muggy at times. This would help us all get a good night sleep i think! Aukey Wireless Doorbell – OK, so I’m sure you’re wondering why the heck you would have a doorbell on a Christmas list but I think this would be ideal for my hubby! lol Bear with me! He works in the office during the day and if I am out he can never hear the doorbell – this way he can have the plug in base with him in the office – tada no more missing parcels! 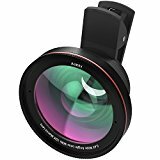 Aukey iPhone Clip on Lens – For the girl who loves a good selfie! Not having a main camera anymore can prove to be a pain at times but that could be solved with this wide angle lens, I have tried it on my iPhone and it gives so much more scope than just the phone eye itself! 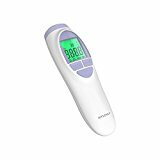 Hylogy Infrared Digital Forehead Thermometer – I don’t know about you but when your babies are ill the last thing they want you doing is putting something on their heads or in their mouths to get their temperatures! Besides cuddles I’m not allowed anywhere near them with a damp towel or thermometer so this infrared version is ideal as you just aim it at the forehead from approx 5cm away. It even comes up with a little happy or unhappy face depending on whether the temperature is too high or not! All available from Amazon Prime! Another sneak at some pretties! Social Sunday – 9th June!